Deep innovation or mere eccentricity? The controversial writings of Vilhelm Slomann (1885-1962) for The Burlington Magazine. To be accepted as a fully-fledged scholar one needs to comply with the standards of the community to which one belongs. As David Carrier has pointed out, academia contains various communities, each one with its own standards. If scholars express ideas outside the standards of the community, they will be considered eccentrics but if standards change they may no longer be considered thus. Carrier mentions the work of art historians such as Erwin Panofsky, Leo Steinberg and Clement Greenberg that were initially considered eccentric but have been later considered relevant and crucial by many scholarly communities. Most eccentric interpretations are neither taken seriously nor later redeemed, but Carrier argues that they too are important: unconventional accounts can be revealing for art historians as they expose the difficulty of stepping aside perceived ways of thinking. They may show potential for innovative thought. For Carrier, the difference between conventional art history and eccentric art history is contextual: a member of the community is a serious art historian, an outsider is not. Even from within the discipline, however, there have been cases of eccentric thought that has been considered and remained thus. One interesting example of such a case of eccentricity is to be found in the writings of Vilhelm Slomann contra the British scholarly community, in a heated debate on applied art in the pages of the Burlington in the 1930s and 1950s. Vilhelm Slomann was a writer and museum professional, convincingly and successfully part of mainstream art history: director of the Copenhagen Kunstindustrimuseet (Danish Museum of Art and Design) from 1923 to 1949, he published articles on the history of furniture and applied art in Danish, British and German journals, as well as the book Bizarre Designs in Silks. Trade and Tradition in 1953. Another book, Bicorporate. Studies in Revivals and Migration of Art Motifs, was published posthumously in 1967. Slomann published his first article for the Burlington in January 1926, under the editorship of R. R. Tatlock. This was a competent study on the sources of rock-crystal carvings by Giovanni Bernardi, an essay that referred to archival documents as well as visual sources and was exemplary of the standards of the art historical community at the time. In 1934, under the newly established editorship by Herbert Read, Slomann wrote a series of three articles, ‘The Indian Period of European Furniture’, in which he posited the highly innovative argument that much of 17th century furniture believed to be of English and Dutch origin was actually of Indian origin: ‘For all practical purposes I believe to be safe to consider all laquer work found in Europe and dating from about 1600 and fairly far on in the century as having come from India, or from China and Japan’. This claim was understandably received with great scepticism, even bewilderment, by his English readership. The discussion between Slomann and his critics is documented in letters and articles in the Burlington responding to each of his three essays. Slomann’s main critic, Kenneth de Burgh Codrington, was one of the chief authorities on Indian art in England at the time. Curator of the 1931 exhibition of Indian art at the Burlington Fine Art Club and newly appointed Keeper of the Indian Section of the Victoria and Albert Museum, Codrington believed in the ‘autonomy’ and ‘uniqueness’ of Indian art and promoted sculpture as its greatest embodiment. Codrington had strong connections with the Indian subcontinent. His father, grandfather and great-grandfathers were officers in the Indian army, he was born in India and spent his childhood there before moving to England to study Indian archaeology at Cambridge and Oxford. Codrington remained at the Victoria and Albert Museum until 1948, when he became the first Professor of Indian Archaeology at the School of Oriental and African Studies. Codrington’s co-author in the Burlington, Ralph Edwards, was, with Percy MacQuoid, the author of the Dictionary of English Furniture (1924-7) and would later be appointed as keeper of Woodwork at the Victoria and Albert Museum (1937). Certainly the intangibility of current museum arrangements was not the strongest argument against Slomann, and one can read in this statement the anxiety of museum professionals whose accepted taxonomies were questioned. More importantly, however, Codrington and Edwards showed that Slomann’s views were unsupported by technical evidence and they demonstrated his inadequate understanding of geographical terminology in the documents he used as evidence. Slomann retorted by accusing his critics of being ‘Europe-centric’. 21st century readers see clearly the potential innovation of this statement professed as early as 1934. Several recent readings, in fact, have interpreted Codrington’s views as the product of Eurocentric hegemony. Nevertheless, if Slomann’s theory was innovative and anticipated late 20th century post-colonial thought, it was not backed by any evidence: while trying to refute the arguments of his opponents, Slomann often confirmed their accusation that he based his arguments on rush assumptions rather than facts. The same can be said about his exchange of letters with John Irwin, following to Irwin’s book review of Slomann’s Bizarre Designs in Silks in the Burlington in 1955, and later subject of a 1958 article by Peter Thornton in the page of the same magazine. Slomann’s innovative approach to the objects he treated was recognised by the art historical community: the group of peculiar damasks (example illustrated here) to which he drew attention are still subject of study today, and the term he coined to describe them, ‘Bizarre Silk’, is still in use. Nevertheless, like in the case of the origins of 17th century furniture, his radical ideas of the Indian origins of these silks were soon disproved because of their lack of sound evidence. In his attempt to explain his standpoint to the readers of the Burlington, Slomann used a relativist language, affine to 21st century readers: ‘The main differences of opinion between my learned critics and myself are the result of differences in training, or in other words, of [differences in] perceiving and estimating what we see.’ Since Slomann operated within the same academic tradition as much as his ‘learned critics’, the contrast between him and them was perhaps not as significant as he argued. One should not forget, however, that his plea for open-mindedness came at a time of exacerbated nationalism, and his unconventional ideas about Indian and European exchanges anticipated later questions about geographical boundaries and exchanges of forms and motifs in art. ‘Better suggestive error than an unproblematic truth’, Carrier posits in his essay on innovation and eccentricity, ‘for suggestive error may sometimes inspire more interesting research.’ And certainly Slomann’s articles, albeit they present some serious flaws in expertise, not only provide us with an useful compilation of visual material, but also offer insightful reasoning and anticipate concepts that will later be adopted by mainstream art history. Ulrike Kern and Barbara Pezzini, March 2014. Design for woven silk textile by James Leman, 1710, London Victoria and Albert Museum. 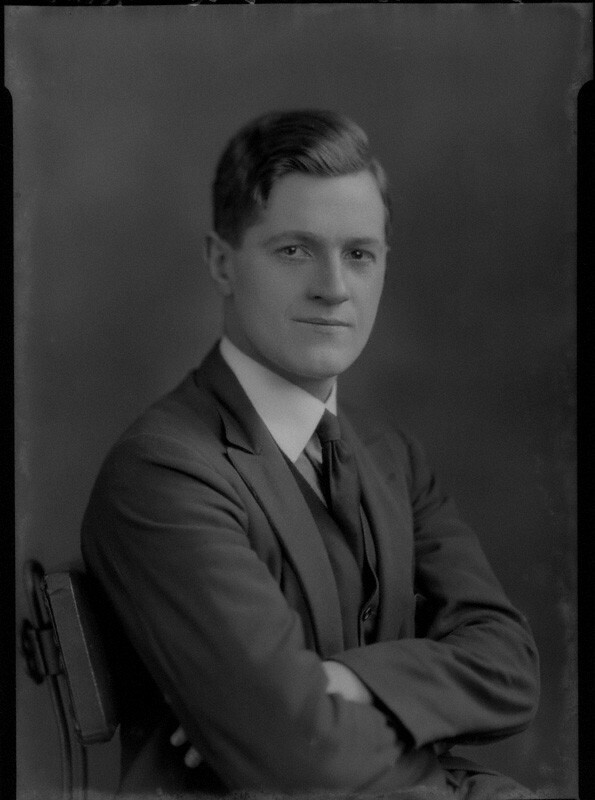 Kenneth De Burgh Codrington, by Lafayette (Lafayette Ltd), half-plate film negative, 28 February 1927, London, National Portrait Gallery. Wencke Slomann, ‘Preface’, in: Bicorporates. Studies in Revivals and Migration of Art Motifs, Copenhagen 1967, pp. 9-10. ‘Rock-Crystals by Giovanni Bernardi’, January 1926, Vol. 48, pp. 18-20. ‘The Indian Period of European Furniture-I’, September 1934, Vol. 65, pp. 112-126. ‘The Indian Period of European Furniture-II’, October 1934, Vol. 65, pp. 156-171. ‘The Indian Period of European Furniture-III’, November 1934, Vol. 65, pp. 201-214. ‘The Indian Period of European Furniture. A Reply to Criticisms’, January 1935, Vol. 66, pp. 21-26. ‘La Chine, l’Italie et les debuts de la Renaissance (xiii-xiv Siecles)’, December 1935, Vol. 66, p. 283 [Book review]. ‘Bizarre Designs in Silks’, October 1955, Vol. 97, pp. 322-325 [Letter]. K. de B. Codrington and Ralph Edwards, ‘The Indian Period of European Furniture I’, October 1934, Vol. 65, pp. 184, 189. K. de B. Codrington and Ralph Edwards, ‘The Indian Period of European Furniture. A Reply to Dr. Slomann’, December 1934, Vol. 65, pp. 273-279. R. W. Symonds, ‘The Indian Period of European Furniture’, December 1934, Vol. 65, pp. 296. K. de B. Codrington and Ralph Edwards and W. A. Thorpe, ‘The Indian Period of European Furniture’, February 1935, Vol. 66, pp. 94-95. John Irwin, ‘Bizarre Designs in Silks’, May 1955, Vol. 97, pp. 153-154. Peter Thornton, ‘The Bizarre Silks’, August 1959, Vol. 100, pp. 265-270. Ralph Edwards and K. de B. Codrington ‘The Indian Period of European Furniture’, Apollo Magazine, February 1935, Vol. 21, pp. 122-125. (1) David Carrier, ‘Deep innovation and mere eccentricity, Six case studies of innovation in art history’, Art History and its institutions, Foundations of a discipline (Ed. by Elizabeth Mansfield), London and New York, 2002, pp. 115-116. (2) Saloni Mathur, India by Design: Colonial History and Cultural Display, London 2007, pp. 151-152. Next postPan-Giorgionism: Herbert Frederick Cook (1868-1939) as art writer.